Change is the only constant. Yes, we have all heard that before. Wouldn’t it be easier if change was easy to keep up with? Well, we are going to do our part and give you the three best articles we have found on emerging trends in home design. See below! This NYT article highlights how one seemingly old style of home, the “A-Frame,” can be surprisingly modern. I think all of us were a little surprised when we heard that purple was the color of the year for 2018. Unless you’re a TCU fan, you need some help in how to use purple in your home. This article by Huffington Post makes it easy. "Incorporating this rich and moody color into your home is easier than you think." Summer is around the corner, spring is starting to show itself and we are all ready for some time on the patio. Thankfully, Architectural Digest put together a whole guide for us. Including Nate Burkus entertaining tips. “Your touchstone for creating your own outdoor entertaining style should be something that really speaks to you—maybe that’s a years-old hammock swinging in the sun. Embrace it! And create a scene around it." We hope you enjoyed the round up of articles we found particularly helpful or insightful. Imagine it's Friday night and you can walk to Fireside Pies, The Old Monk or maybe The Porch (a long time Dallas favorite) on Henderson. It would be possible living in the duplex at the corner of Garrett and Manett. 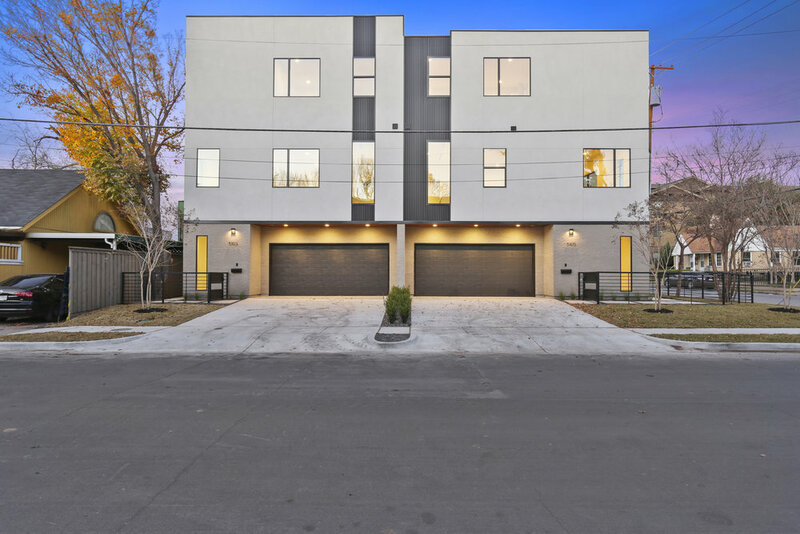 The sleek contemporary design is modern but welcoming with a location that is quickly becoming one of the hottest address' in Dallas. We're talking about the prime Knox-Henderson neighborhood. This property has two bedrooms with a study, which could be a third bedroom if you need it. The two bedrooms are accompanied with two full baths and a powder bath for your guests. With the spacious living and kitchen area you are going to be entertaining a lot more. Living here, you'll begin and end your day in your master bedroom with beautiful (and rare) views of downtown. These homes are new construction and built by one of the best in quality - Fairmont Custom Homes. 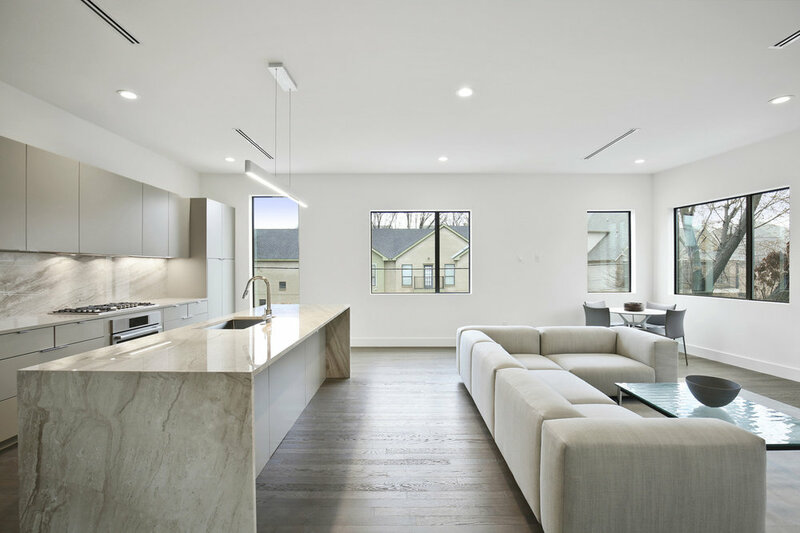 Tile imported from Spain and the marble countertops add to the list of features (full list below) that is equally as impressive as it is long.